It's a beautiful day in Macau, a special administrative region formerly owned by the Portuguese. It's not far from Hong Kong. It's also Asia's Las Vegas. I was here briefly four years ago when I was in Hong Kong. It's changed incredibly since then. There were lots of casinos here then, but in that short time, the territory has surpassed Vegas in intake. There are mammoth casinos everywhere and as many more under construction. The skyline doesn't compare to that of my last visit. MGM Grand, Sands and the Wynn all have put up huge casino-hotels here. The Venetian copied its Vegas establishment and here it occupies a space of 500 by 500 meters, which is huge, for those of you not in tune with the metric system. I'll share some photos of this incredible place in my next post. (And yes, I've been hitting the blackjack tables; I was up but am now even). I spent a lot of time with a fellow Justin from Oregon (his real first name is Robert, if you can believe that), and Dave and Andrew from England. Lots of fun was had with these guys, and I'm in Macau with the English guys. 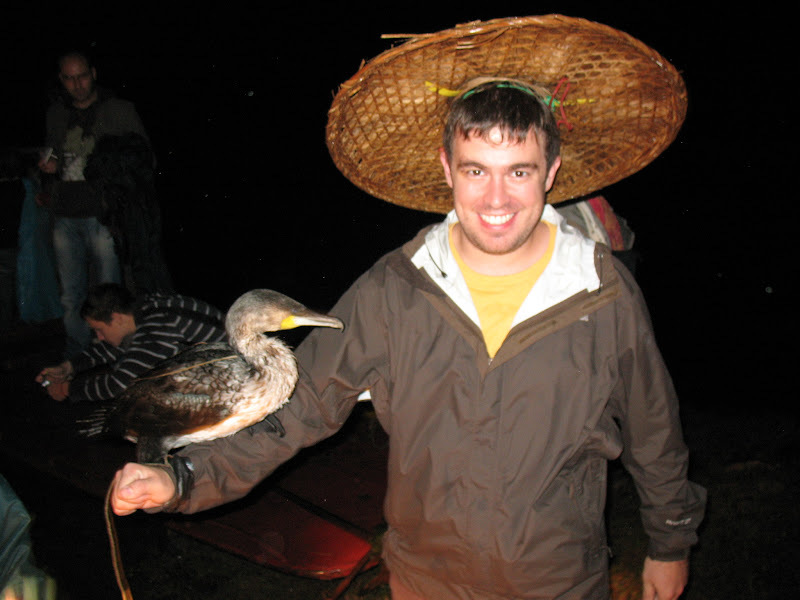 A highlight of my time in Yangshuo was to head out on the river to watch some nighttime cormorant fishing. 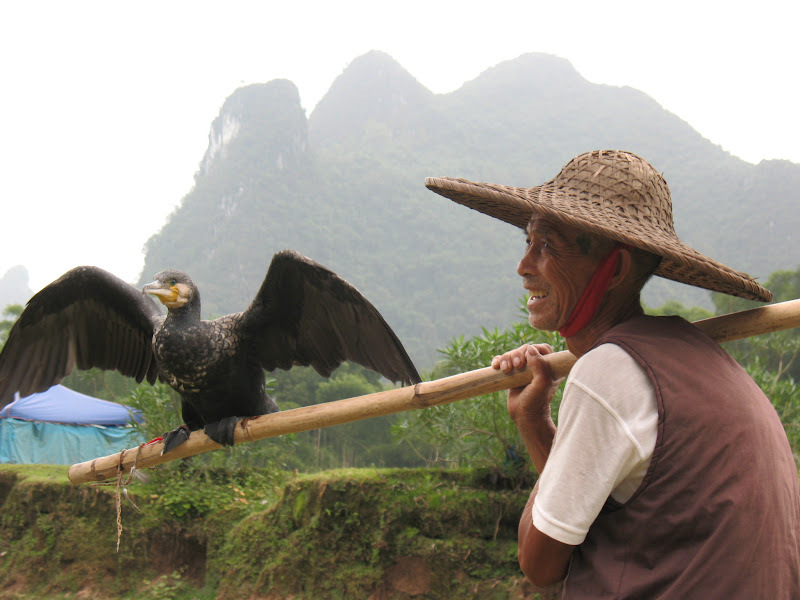 The fishermen tie string around the cormorants' necks and the birds swim along side their bamboo rafts. When a bird catches a fish, it's can't swallow it. It was really cool and I got a dorky photo op out of it as well. 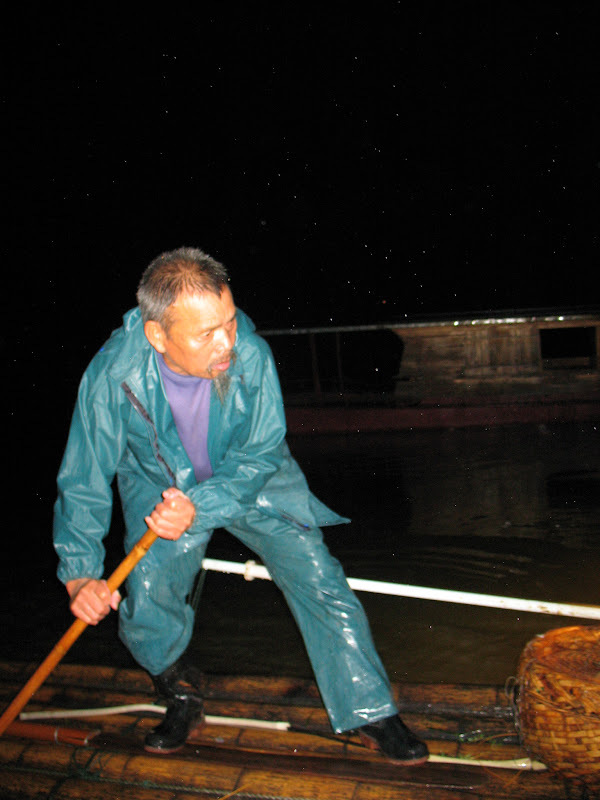 And the next day, we found a fisherman on dry land and got some photos of him with his birds. I really like this photo. And now for the scenery. Stunning. No way to describe it. This is among the top three most beautiful areas I've been to, no doubt about it. 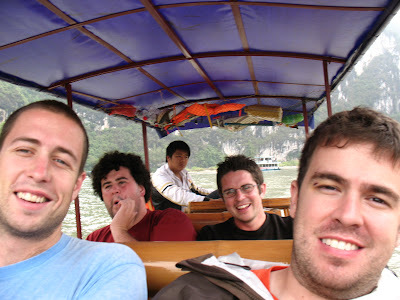 As I mentioned before, a few of us went on a nice bike ride, but the three guys and I also took a boat cruise on a (fake) bamboo raft. It was a great way to see the river and mountains, even though we kept passing huge ferries. If I shared all the photos that I wanted to, I'd fill my Picasa folder, so here's just a couple that I like, so you can get the idea. 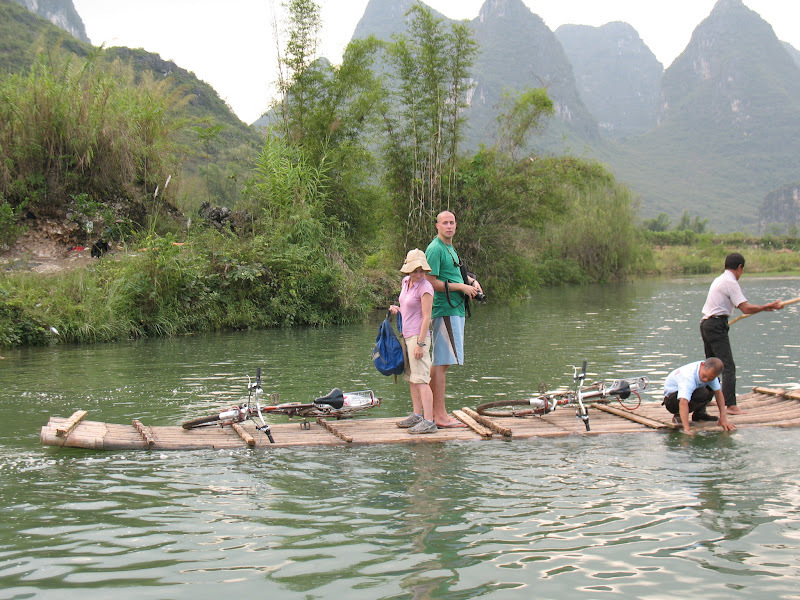 We had to cross the river with our bikes on bamboo rafts at one point. And then the next day, the rain came back. So I decided it was time to hightail it out of there. I'm glad I did because the weather here is great. But we had to endure a 19-hour sleeper bus to get here. We were delayed two hours due to a traffic accident, another 90 minutes because our bus broke down and many more minutes due to crappy roads. It was exhausting, but we made it. And finally, I know I caught many people's attention with the promise of a mystery destination. I will be there in about two weeks, and you won't find out where it is until I'm there. But I suppose I could toss a clue or two your way to whet your appetite. So here's clue one: It will take me around 36 hours to get to this place. But I won't tell you the mode or modes of transport I will be using to arrive there. 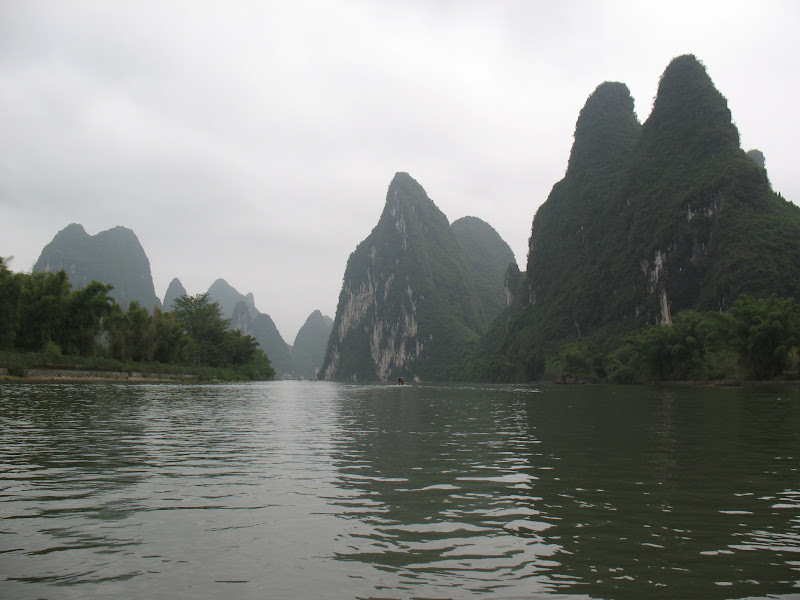 And another wimpy clue: This place, like China, has incredible scenery that is quite varied. Great pictures, keep up the good work with the blog. love the new pics. 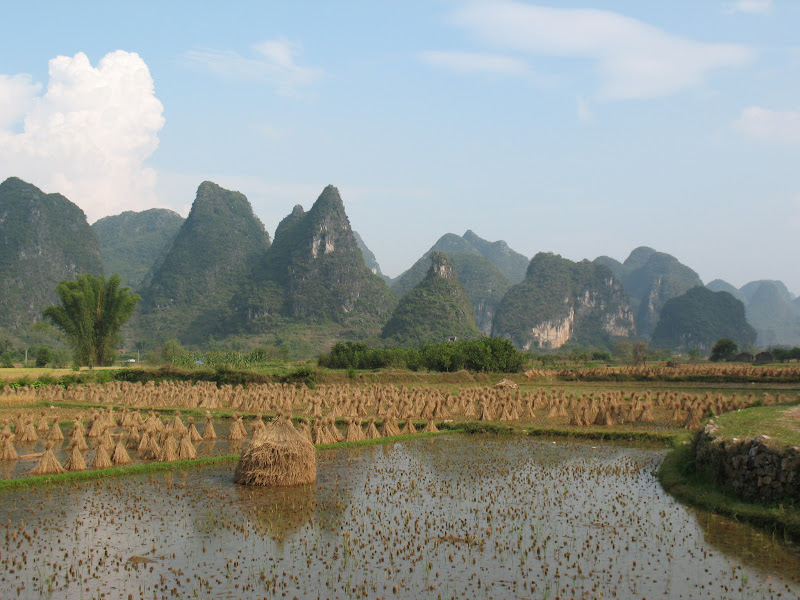 but you must be some kind of crazy to cross a river on one of those bamboo rafts.